Medical marijuana has finally hit the Las Vegas strip, and that means Sin City has a new legal vice to monitor. With legitimate medical marijuana dispensaries now a viable entity and perhaps a threat to the city’s bread and butter (casinos and strip clubs), Las Vegas must decide how visible medical cannabis should be. That answer is apparently very, very visible. The Las Vegas City Council just approved billboard advertisements for the city’s nascent industry. That means tourists flying and driving into Vegas’ bright lights will soon be met with a sign welcoming guiding the city’s greener pastures. Las Vegas City joins its neighbor, Clark County, as the second Nevada-based area to give the okay to cannabis billboards. 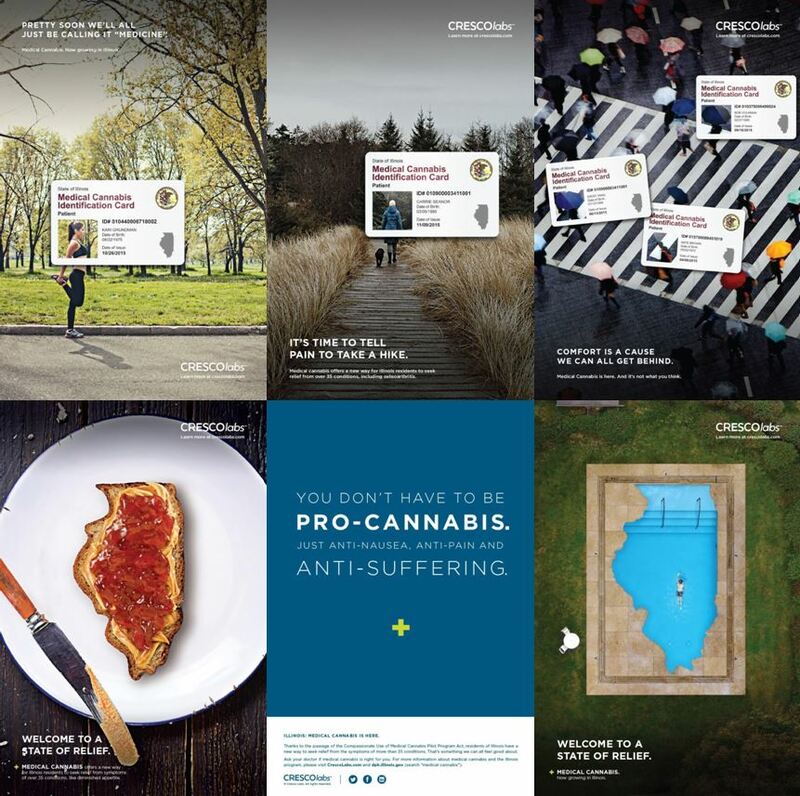 But that trend is by no means indicative of the medical cannabis advertising landscape in America. Even in states like California and Colorado, billboards for dispensaries remain almost unheard of. Dispensaries sponsor highways, but it’s rare to see much more than that. So while a major victory for Vegas’ dispensaries on the strip, the news could portend to be even news for the national medical marijuana industry. Nevada is a unique state in that it offers reciprocity to medical marijuana cardholders from other states. A growing number of states (four and counting) offer legal marijuana sales and fall into a similar category. These companies want to make the best, fastest, and most decisive first impression on tourists. There is still no better way to do that than via a billboard. Despite social media and the desire to tune the world out, billboards have a cemented, intrinsic film value–just ask the film industry. When people drive into a foreign city like Las Vegas, Denver, or Los Angeles, their first impression will be what greets them high in the sky. Likewise, cannabis does not yet have the acceptance that Jennifer Lawrence has. In fact, many new wave internet entities won’t even allow digital ads from cannabis companies. In the last year, both Facebook and Instagram have been criticized for deleting marijuana pages. Similarly, Google has faced the ire of the industry for not allowing simple advertisements to be purchased. Those outlets still remain, at best, hazy ones for the industry to tackle. Companies even in Colorado are limited to reviews, word-of-mouth, savvy PR moves, and a few other small-time tactics. Advertising in the modern marijuana industry still remains one of the steepest challenges all businesses ranging from dispensaries to edible companies currently face. It’s difficult to get the word out about a new company or product when you’re limited to niche cannabis magazines, organic social media, and cannabis-centric sights like Whaxy. While the cannabis industry isn’t the film industry just yet, but it might be one of the few industries with advertise dollars to back it up. Cannabis companies have money to spend, but few outlets to spend that money; it’s a conundrum. Recently, Vermont debuted some (pot-less) cable television commercials with people plainly speaking about the state being ready for legalization. Clearly, between the slow acceptance of advertisements about weed and the will to get the word in within the industry, the evolution is occurring. In Illinois, we were able to place these resourceful ads on placards at bus stops, but remain limited. Hopefully more states take this necessary step in the evolution of an industry and allow traditional billboard and television advertisements to find homes. It’s the natural, inevitable evolution of the cannabis industry, and we couldn’t be more excited to help that evolution come to fruition!